A number of special services were held as part of our Easter celebrations. On Palm Sunday (28 March), we remembered Jesus’ popularly acclaimed arrival at Jerusalem, marking the start of Holy Week. 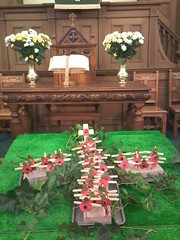 As the crowds then had waved palm branches, so at St Columba’s, we were given palm leaves woven into the shape of crosses. Our evening worship took to form of songs of praise, with members sharing songs and hymns that were especially meaningful to them. 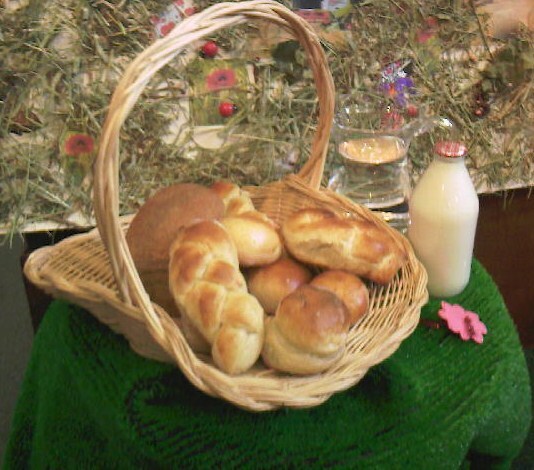 On Maundy Thursday (1 April), and evening service of tenebrae was held, reflecting on Jesus’ last supper with his disciples at the Passover festival in Jerusalem. Good Friday (2 April) began with an open-air service in Northumberland Square, organised by Churches Together in North Shields. We were blessed with fine weather, as hundreds gathered for the annual joint service. Revd Liz Edwards introduced the elected Mayor of North Tyneside, Linda Arkley, and Tynemouth MP, Alan Campbell, who both briefly addressed the crowd. 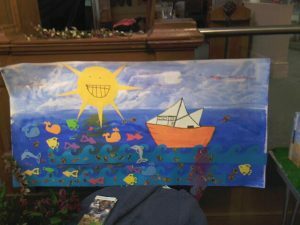 Members from St Columba’s and other churches in the town took part in the short service, which this year presented the Good Friday story in song and art. Particularly effective were the rock solo of “There is a Green Hill” sung to the tune of “There is a House in New Orleans”, and the painting of a green hill and two black crosses on a large board, to which was added a wooden cross. Worship continued with a procession of witness around the town centre led by the wooden cross and the band of the Salvation Army. The procession seemed larger this year, after it had been prevented from taking place in 2009. 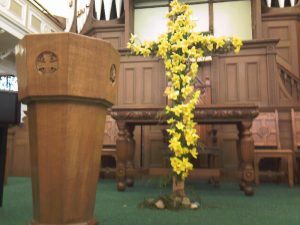 The churches and Sunday schools of North Shields have marched on Good Friday for over a hundred years, with only a few exceptions. 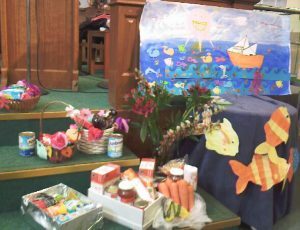 This year’s march ended with adult services in four of the town centre churches, and once again “Messy Church” at St Columba’s. 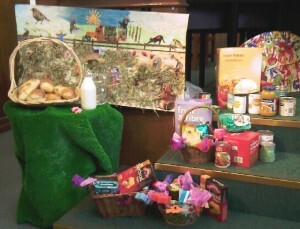 The children enjoyed learning about the Easter stories through art and craft, as well as being treated to a puppet show. Easter Day (4 April) began early with a short Communion service in a semicircle, followed by a fair trade breakfast, and a family service with infant baptism. Our Minister, Revd Liz Blair, spoke about the blessings of new life, both in the form of a new baby in the family, and in relation to the new start that Jesus’ resurrection brings to the world and to each one of us. 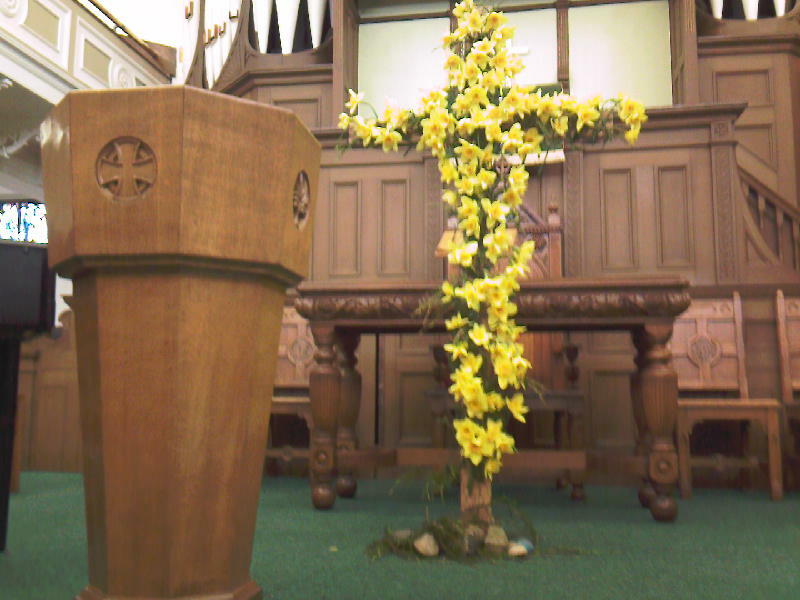 During the service, we were invited to bring daffodils to the front as part of our prayers for others, and they were arranged onto a wooden cross. Celebrations concluded with an evening Communion. St Columba’s Church held its annual meeting on 30 March 2010. Thirty-five written reports were received from all aspects of the life of the church, ranging from care of the congregation to learning together to worship in retirement homes. The one thing that stood out was just how active the church was, showing the love of God in North Shields and beyond. We celebrated two weddings, three baptisms, one dedication, and eleven people were welcomed into church membership. Indeed, total church membership rose to 152 – the highest figure for 8 years! We continued to work with local primary schools and the other churches in the area. 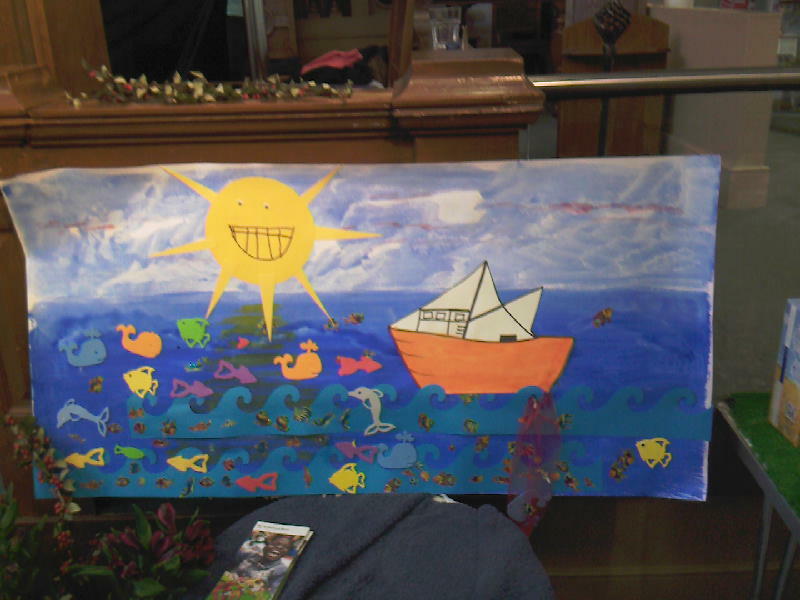 “Messy church”, the fun way to learn about the Christian faith through art and crafts, continued to be enjoyed once a month and we also ran two 10-week Alpha courses, for adults wanting to explore the basics of Christianity. In July, twenty-two youngsters and adults went to the New Wine Christian conference, camping near Newark. During 2009, the church and church groups raised over £8,000 for other charities, including Christian Aid, St Oswald’s Hospice, UNICEF, the Alzheimer’s Society, the Sir Bobby Robson Foundation, Northumbria Healthcare, Bible Society, Macmillan Cancer Care, ME North East, Smile for Life, Nite Bite (a local charity providing a hot meal for homeless people), McKean Rehabilitation Centre in Thailand, and Priateli (a charity helping orphans in Bulgaria). 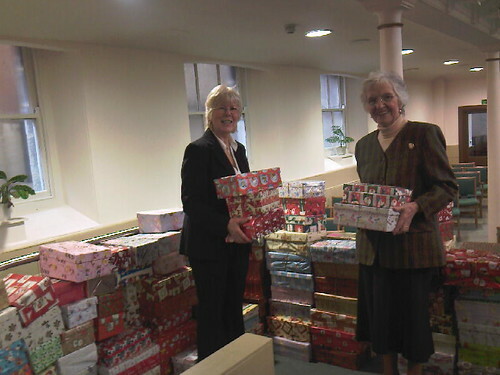 With others, we managed to collect nearly 300 shoeboxes for Operation Christmas Child, ensuring that deprived children in Eastern Europe, Central Asia and Africa were able to open one present at Christmas. Once again, one of our ladies’ groups, HANDS, supported the annual garden fête at Pearey House, in Preston Park, in aid of the Tynemouth Blind Welfare Society. Our Traidcraft team continued to run the fair trade stall on Sundays and Tuesdays throughout the year, and once again served a fair trade breakfast to early morning worshippers on Easter Sunday. In 2009, our church-run registered social landlord, the Square Building Trust Ltd, celebrated its 80th anniversary. This was followed, in February 2010 with our award-winning Square Table Lunch Club celebrating its 21st anniversary. 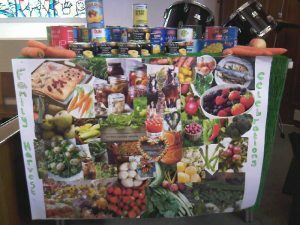 During those years, the ladies have served 66,615 lunches to all comers – a marvellous achievement! The “winter wonderland” flower festival, coinciding with the Victorian Christmas Market weekend, proved a great success, with many eye-catching displays. 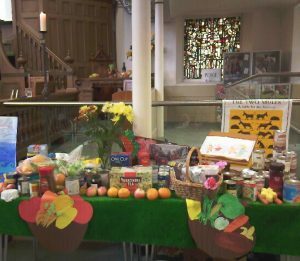 All in all, it was a busy year, with a lot of people doing an amazing amount of work in the church and community.